Swaroop Achaya Devaiah is a multifaceted personality. A dancer of repute from Madikeri, Swaroop has attained Vidwath in Bharatanatyam with a state rank. She dabbles in various dance forms. 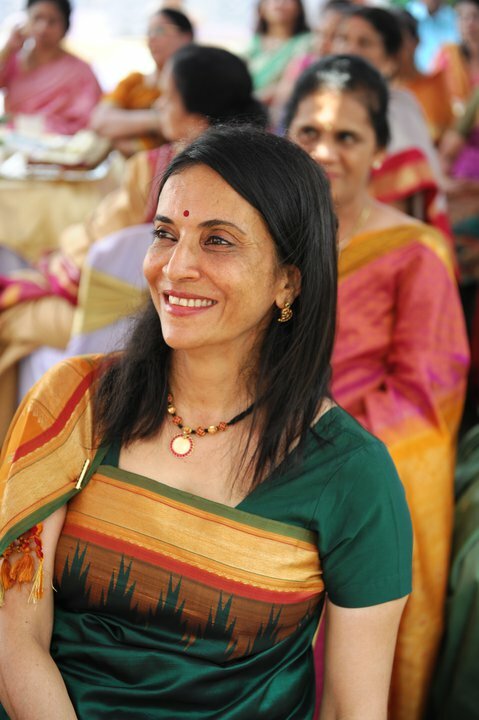 Founder director of ‘Priyadarshini Montessori House of Children’, she pioneered the Montessori-method of educating children in Mangalore. Her interests include yoga, cooking, reading, gardening and travelling. 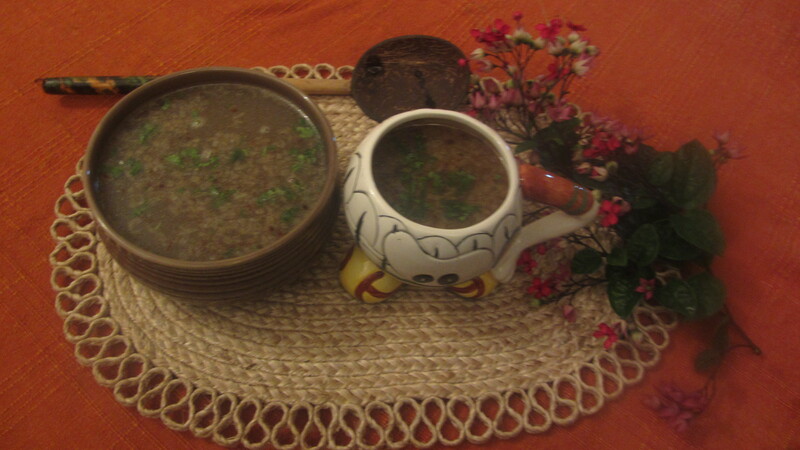 According to Swaroop, there are two ways of preparing this soup. One is the easy way, by procuring dressed aadkaal from the butcher. And the other is by dressing the aadkaal at home,which is slightly laborious. The advantage in the latter is that the skin and the nutrient dense layers, would be intact, as opposed to the former, where the bone would be stripped clean of the skin by the butcher. 2. Hold over flame and with a sharp knife, scrape the charred hair from the leg. Repeat this process, until all the goat hair is removed and the hoof falls. It happens easily. 3. Wash the goat leg well and chop it into medium sized pieces. 4. Put it into a pressure cooker along with all the ingredients. Add about 8 tumblers of water and cook over a low flame for about 4 to 6 hours. 5. Strain the soup (approximately 6 tumblers of stock)..cool… keep in the fridge.. a layer of fat will settle on top.. It is prudent to remove this artery clogging fat. Now use as much of the stock as is needed. The rest can be stored in the fridge to be used as required. 6. Chop a large onion fine. 7. Heat a tbsp of oil in a heavy bottomed vessel. 8. Add the onion, and caramelise. 10. If tomato has not been used, 1 tsp of lemon juice may be added. Bring to boil. Serve piping hot!!! Good to go by itself or with toast. Mutton paya soup is fine for persons suffering from osteoporosis. Osteoporosis is a disease of bone and it can lead to an increased risk of fracture. When bone mineral density or BMD reduces, it is a sign of osteoporosis. Bone micro architecture is disturbed, and the amount of non-collagenous proteins in bone is altered. Osteoporosis as defined by the World Health Organization in women is bone mineral density 2.5 standard deviations below peak bone mass measured at the age of 20 years. Mutton Paya is considered to be a highly nutritious recipe rich in essential minerals. Yum can’t wait to taste it when we visit !! maam nice way of preparing soup ill try it…….